During the 2014 World Series of Poker, the GPI will be releasing new lists twice each week to reflect the increased movement thanks to the many events being played. For a look at all of the lists, visit the official GPI website. Meanwhile, here at PokerNews we’ll continue updating you each week about changes happening both to the 2014 GPI Player of the Year rankings and to the overall GPI Top 300. Alex Bilokur stayed atop the GPI Player of the Year race where he has been for the last month shortly after taking down the Event #28: $10,000 Pot-Limit Hold'em Championship at this year's WSOP. Meanwhile Matt Glantz and Byron Kaverman found spots inside the top 10 this week. Other big movers in the GPI POY race included Matthew Stout who jumped from #35 to #13 and Ismael Bojang who moved up from #27 to #14. There were no changes among the top four spots of the overall GPI 300 this week, with Ole Schemion remaining in the top spot just ahead of Vanessa Selbst. Both Mike McDonald and Bryn Kenney are newcomers to this week's top 10, with Kenney moving up from #16 to #9 after winning his first career WSOP bracelet in Event #63: Six-Handed $1,500 10-Game Mix. 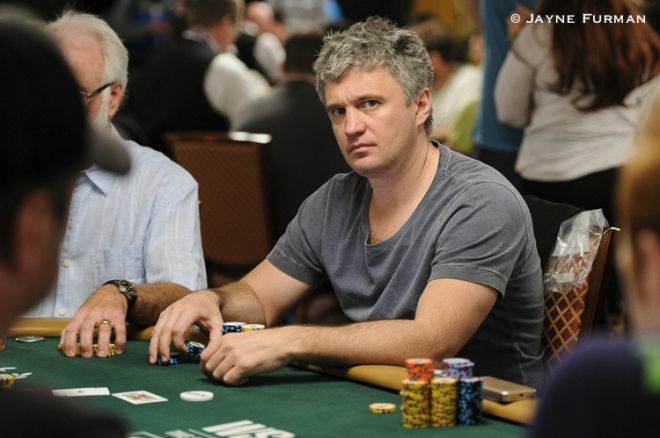 There were 13 newcomers to the GPI Top 300 this week, including Sergey Rybachenko who collected three cashes during the final week of the WSOP to leap up from #360 all of the way to #129. Richard Ashby also found a spot at #224 (up from #338 a week before) to punctuate a successful summer that saw him collect five WSOP cashes including two final tables and nearly making two more. While Rybachenko made a big leap this week, David Williams and Marko Neumann made even bigger ones. Williams moved from #638 to #241 after two deep WSOP runs this week in Event #59: $3,000 Omaha Hi-Low (finishing sixth) and the Event #64: $10,000 Pot-Limit Omaha Championship (finishing 19th). Meanwhile Neumann's final-table finish in the $10K PLO event (finishing fifth) helped move him from #603 to #295.